Plastic, multi-part, near-future Marines. Reasonably priced, no less. What’s not to like? They’re perfect for bog-standard grunts, near-future skirmish, Aliens/Doom gun-crawls, whatever your preference. Finished my first squad and went on to kit bash another from the extra legs, after-market armored torsos, Pig Iron heads, and a GW Scout head for the squad leader. Always tricksy mixing parts from different companies, but these work well. 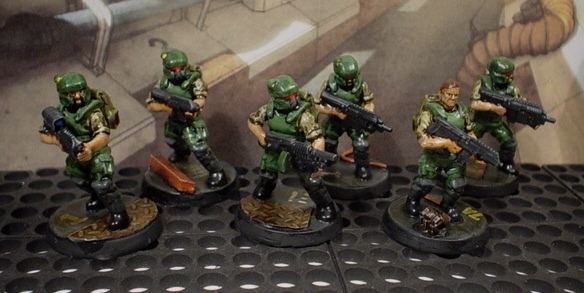 It’s nice to know you can maximize that squad box for a few minutes on eBay and couple bucks. 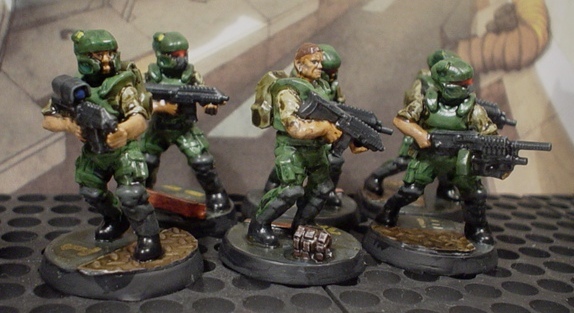 – I have been thinking of getting Defiance minis and building some near-future troops. this is good to see. Thanks. 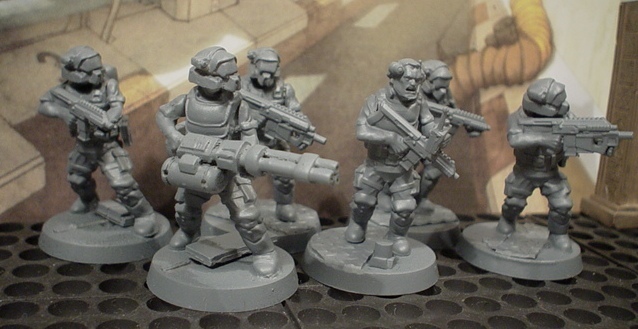 This set is excellent for just that purpose: generic, near-future, light infantry. Shame DG can’t be more consistent with their product and business practices. Mantic Enforcers are another decent option. Sort of a heavy body-armor variant.